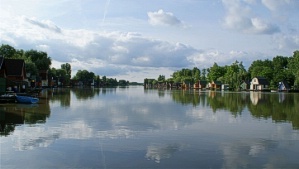 Kossuth Fishing Club of Tamási can be found in the little town of Gonozd, between Koppány and Iregszemcse. It has 2 fishponds with intense colonies. At the pond number 1, mostly pier-owners are fishing, but there are places also for others. On the lake number 2, both owners and visitors are allowed to fish from the shore, as well as from pier.